Basements will leak for a number of reasons, regardless of the age. The constant expansion and contractions in the earth during the cold Canadian winters can lead to foundation walls eroding and/or cracking over time. 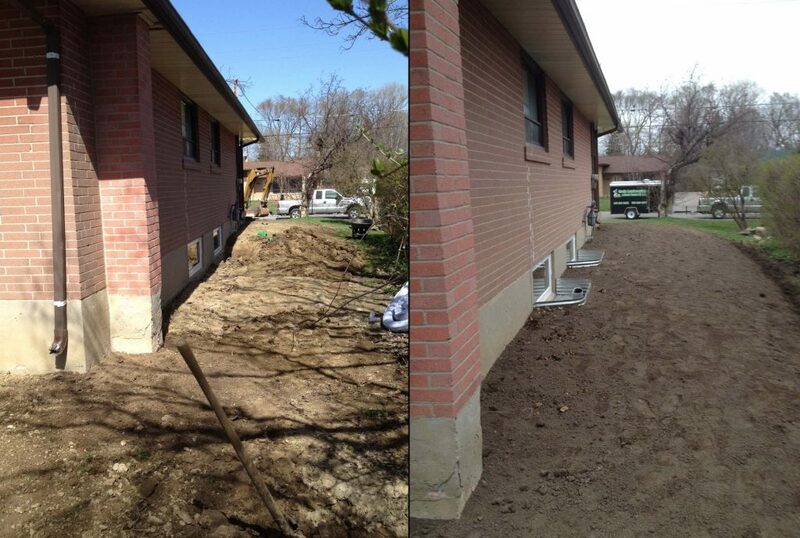 The best and most permanent way to deal with a leaky basement is to do an external waterproofing job. This procedure can be applied to an old cinder block foundation or modern formed concrete foundation. This allows for the waterproofing work to be done from the exterior of the home not damaging anything finished inside the basement. We are fully insured and offer a 25 year unconditional warranty on any waterproofing services performed on your foundation. Knowledgeable staff and proper equipment for any size job we undertake. Waterproofing included on any exterior window, door or basement entrance we install. Contact us for a free quotation to keep your biggest investment high and dry.